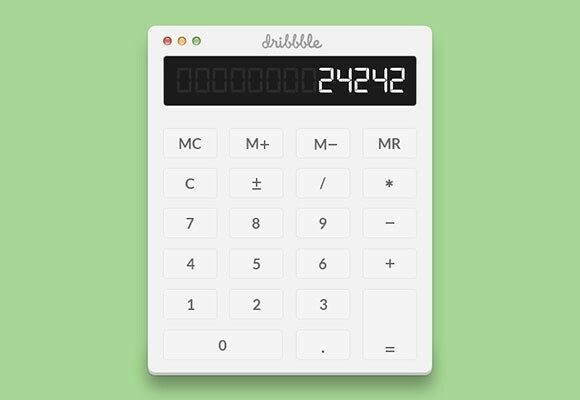 Today’s freebie is a simple PSD calculator user interface designed by Mikael. Posted on August 1, 2013 in Free PSD, Miscellanea and tagged widget. This post has been viewed 2156 times. 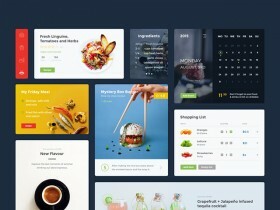 Food & Drink is a clean and modern UI kit providing many useful widgets for your inspiration. Free PSD and Sketch files by Sergiu Firez. An ecommerce UI kit made of useful elements you may use for your next projects. Free PSD designed and released by Thomas Budiman. A set of 16 coloured Material Design widgets designed with Adobe Photoshop. 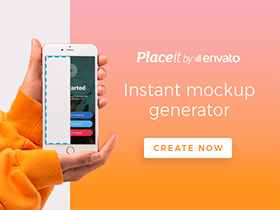 Free PSD created and released by Elad Izak. 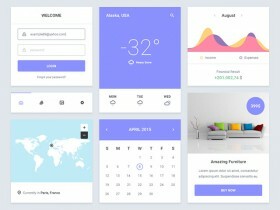 An essential UI kit providing six widget-style elements featured by a flat look. Free PSD released by Adrian Goia.